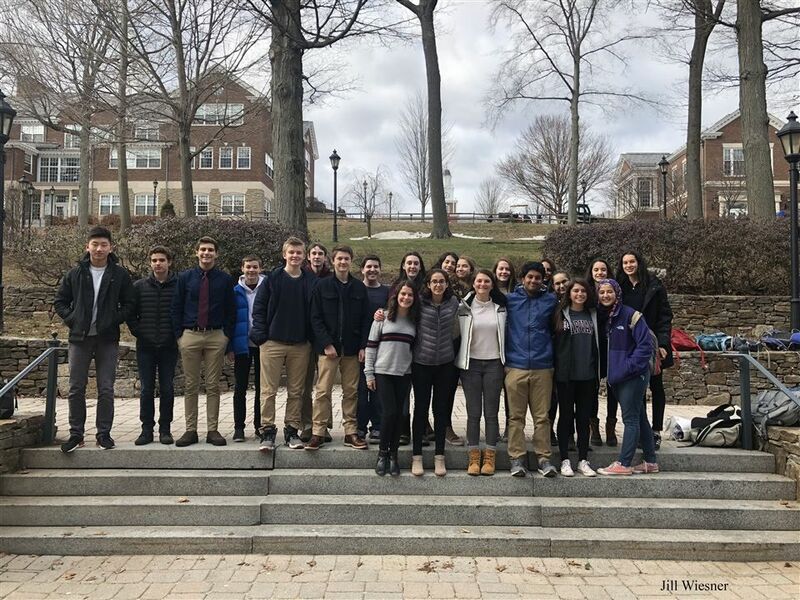 Members of Hopkins Model UN gather in front of Baldwin Hall. Hopkins students mingle with delegates from other schools. HOPMUN delegates participate in a committee session. 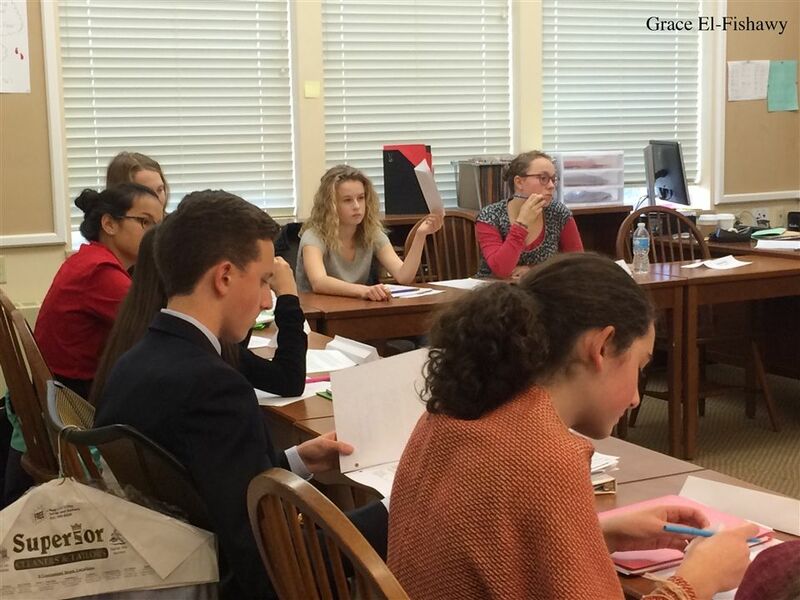 Hopkins is hosting its fourth annual Model United Nations conference on Saturday, April 28. Organizers of the event, Alexandra Blitzer ‘18 and Grace El-Fishawy ‘18, said that both new and returning members have much to look forward to. 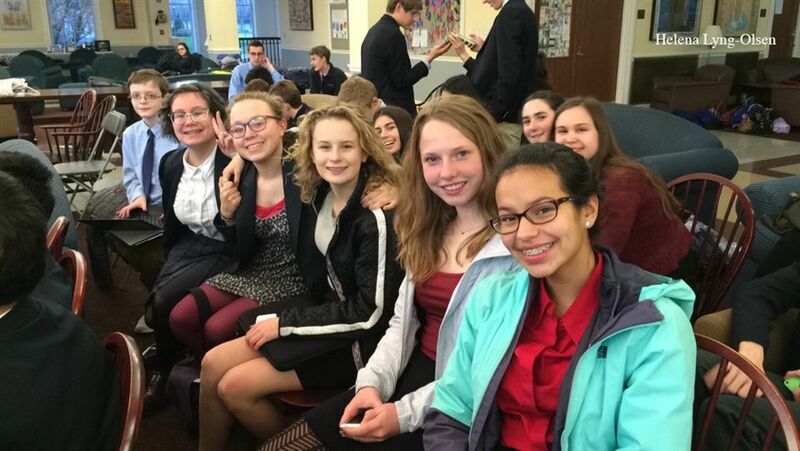 For those not familiar, Model United Nations is an extracurricular at Hopkins and many other high schools around the world in which students represent various countries or persons and simulate UN committees, discussing and debating policies, resolutions, and ways of changing international law. Most often, as Blitzer explained, Model UN conferences take place at universities for a full weekend. Past Hopkins Model UN members have attended conferences at Brown, University of New Haven, Harvard, and Dartmouth. Rayane Taroua ‘20 listed the benefts of spending a weekend away at a college: “It helps you gain independence. We get a lot of freedom to roam around. We dress professionally and work hard. We basically get to act like adults for a weekend.” However, missing the last few school days in a week and not having a free weekend to do homework can be difficult for some. This may be too great a commitment for a student unsure about their level of interest or wary about their level of experience. El-Fishawy succinctly stated the pros of attending a HOPMUN conference, “Low cost, low stress, low commitment.” Costs aren’t nearly as weighty when compared to the hundreds of dollars spent if someone chose to stay at and attend a college MUN conference. In fact, HOPMUN is free to attend for Hopkins students. Along with lower costs, a local conference means that students do not have to miss school to be able to participate, nor will they have to deal with catching up on nearly as much work. “What’s really important is giving people the opportunity to do Model UN in a comfortable, student-run environment like this,” said El-Fishawy. Despite being a single-day event, preparation for the event is time-consuming and begins much sooner than the day of conference. Participants will sign up for and be assigned their committees ahead of time so that they can prepare their countries’ viewpoints and possible resolutions. As the HOPMUN website states, “This year, HOPMUN IV will focus on globalization.” Five committees all have much to offer: American Imperialism, The Modern Silk Road, The Regulation of Virtual Currency, British Parliament (Brexit 2016), and The Second Congo War. These topics fall under multiple classifcations and appeal to all sorts of interests prospective participants may have. Current or historical, crisis-driven or the topic of a cordial general assembly, “HOPMUN IV offers committees for both novice and experienced delegates,” as stated on the HOPMUN website. HOPMUN IV will be taking place from 8:30 am to 5:00 pm on Saturday, April 28. For additional information regarding registration, committees, and important dates and deadlines please explore the Hopkins Model United Nations website, hopmun.weebly.com.